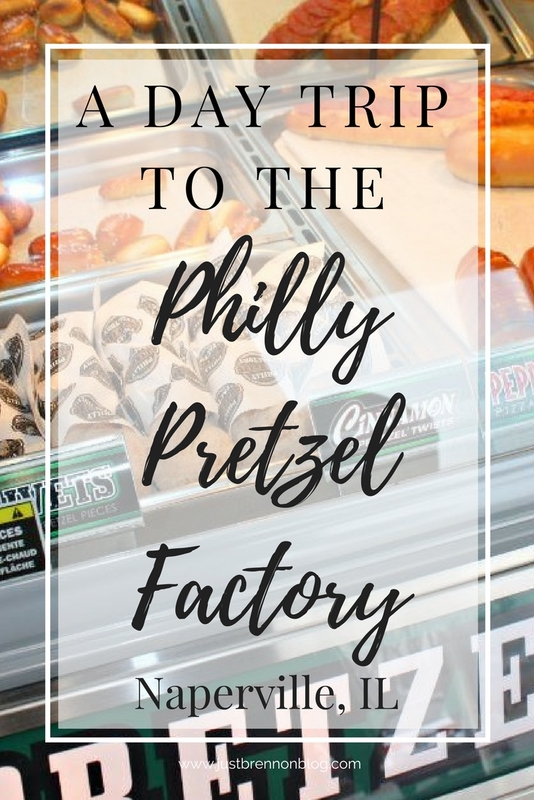 For the past few weeks, I have been attempting to get us to the newly opened, Philly Pretzel Factory located at 1037 West Ogden Avenue, Naperville, Illinois. And, after weeks of trying, we finally made our way up to Naperville yesterday to get our hands on some of those delicious pretzel creations! We left home about 9 AM to arrive a little after they opened to ensure we had some “hot off the press” pretzels, and boy did we! As we and another family walked in, there were a variety of pretzels already ready, as well as many being made in the back. I love the idea of being able to stand in the lobby to order while you watch other pretzels being made. 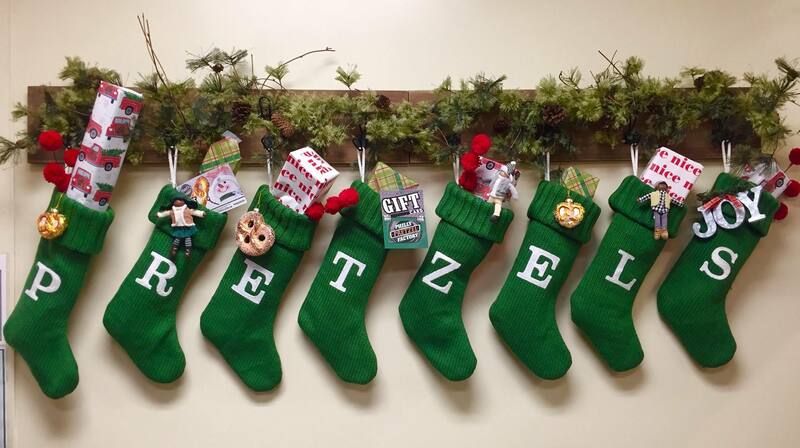 The environment was festive with Christmas stockings hung on the wall, as well as a beautiful pretzel snowman on display. My oldest son was the most excited, as he had been planning what he was going to eat for weeks. He excitedly ordered the Pretzel Cheesesteak Combo (less than $7) which included a Real Philly Soft Pretzel stuffed with Real Philly Cheesesteak and a tea. He also ordered a Cinnamon Pretzel Twist (less than $3) with Buttercream Dip. Talk about one happy camper! No. 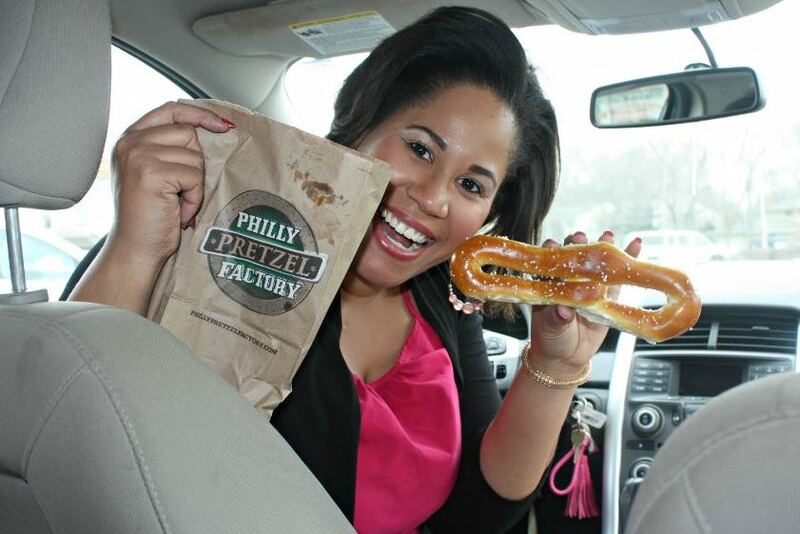 How about one happy pretzel eater! LOL! My youngest son likes simple eating. He set his eyes on the Pepperoni Pretzel Melt which was a yummy, gooey pretzel with Italian spices, melted cheese blend, and pepperoni slices paired with a cup of marinara sauce. 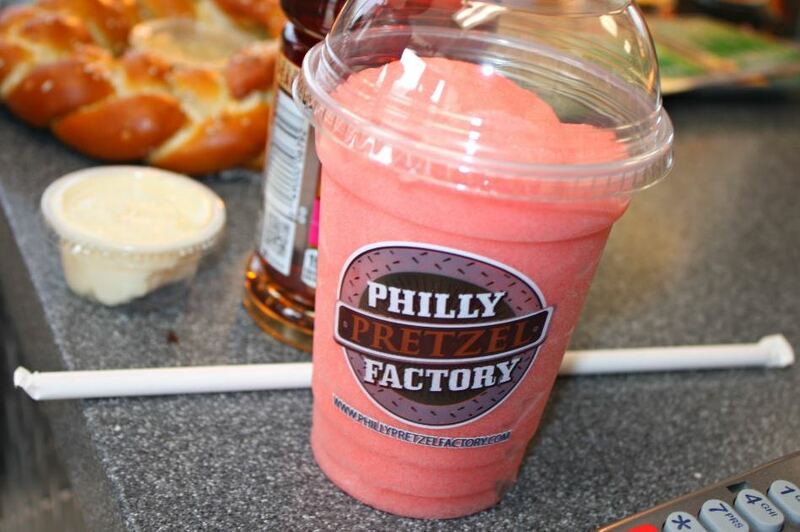 For his drink, he chose the Frozen Raspberry Lemonade. 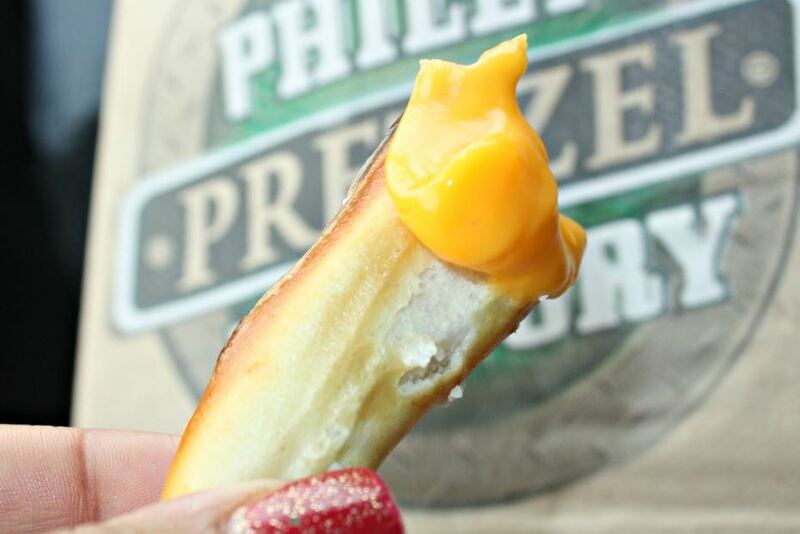 When he opened his pepperoni pretzel, his eyes grew big at the thought of tearing into that pretzel. For myself, I chose to keep it simple, as well. 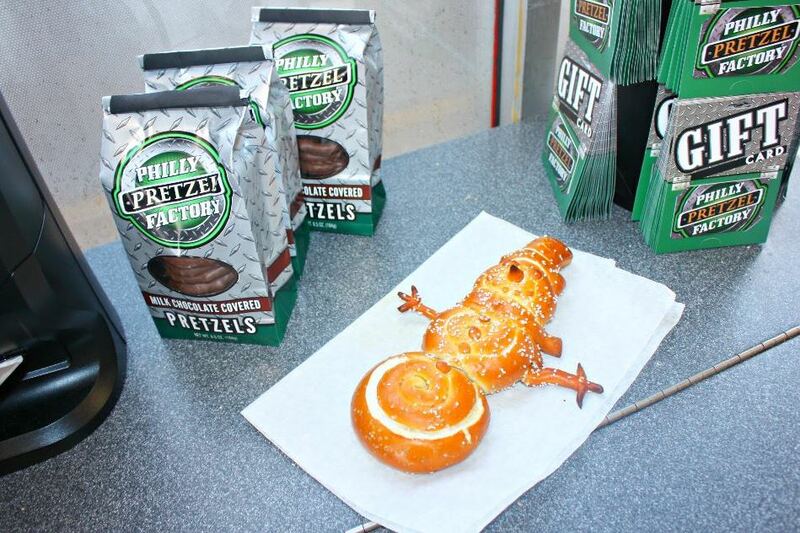 I chose the traditional Pretzel combo which included three pretzels (to share) and a container of cheddar cheese. For my drink, I chose Diet Coke. Having something simple made it easy for me to drive and eat if I wanted. 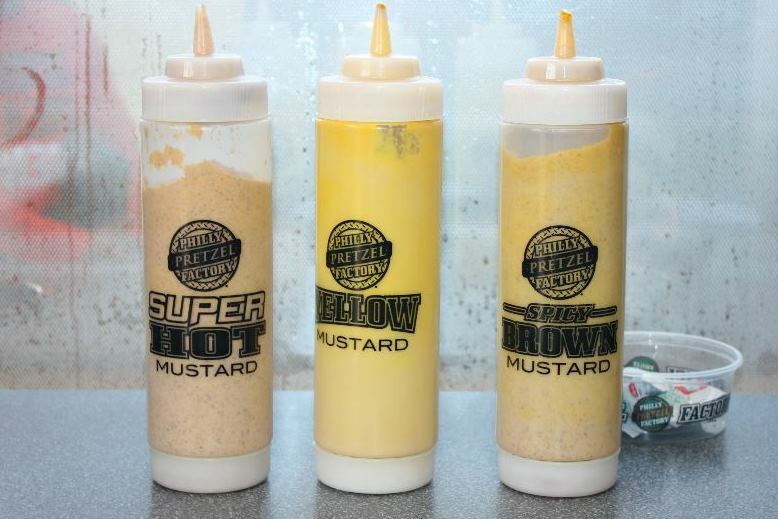 They also have a variety of mustards available, if cheese is not your thing. Once we ordered, we headed to the car to try out all of the yummy goodness. While there is outdoor seating, there is no indoor dining or public restrooms. 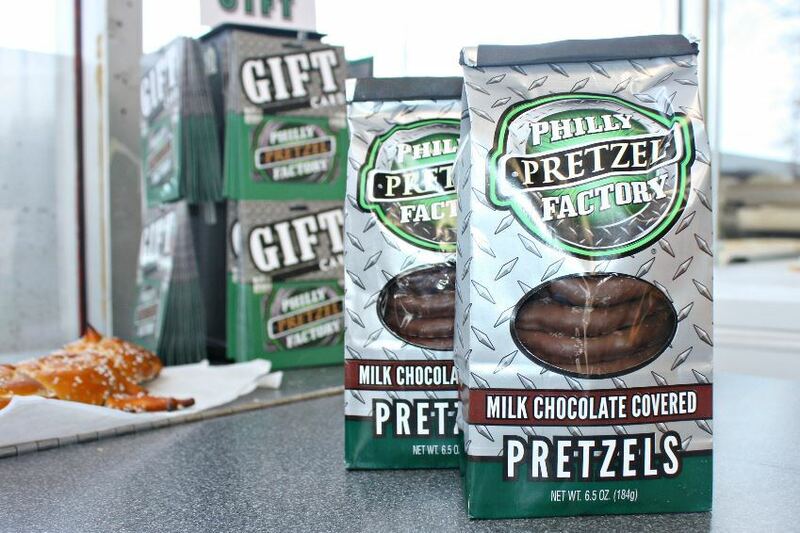 Finally, as a little something to take home, we grabbed a pack of the Philly Pretzel Company Milk Chocolate Covered Pretzels. We haven’t eaten them just yet, but I know we won’t be disappointed! If you are ever in the Chicagoland area, I would definitely recommend stopping by and enjoying some of their delicious pretzel combinations. 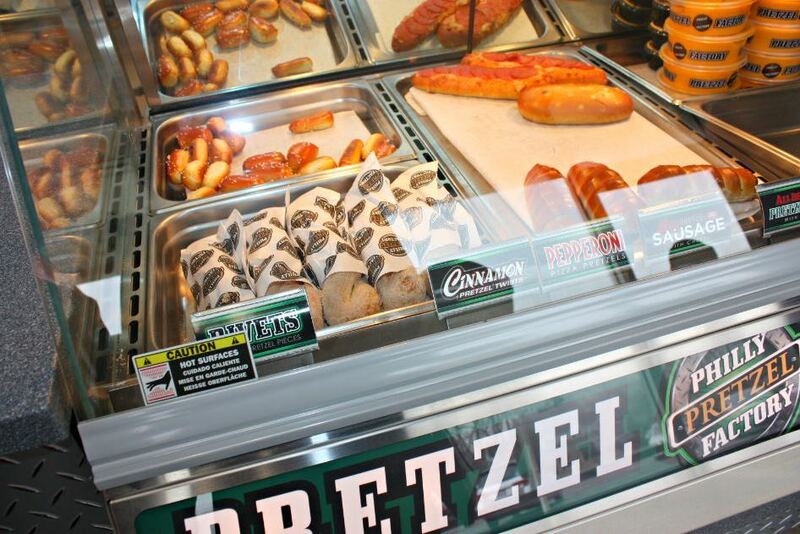 Pretzels are hot, the staff is courteous, and the prices are affordable. 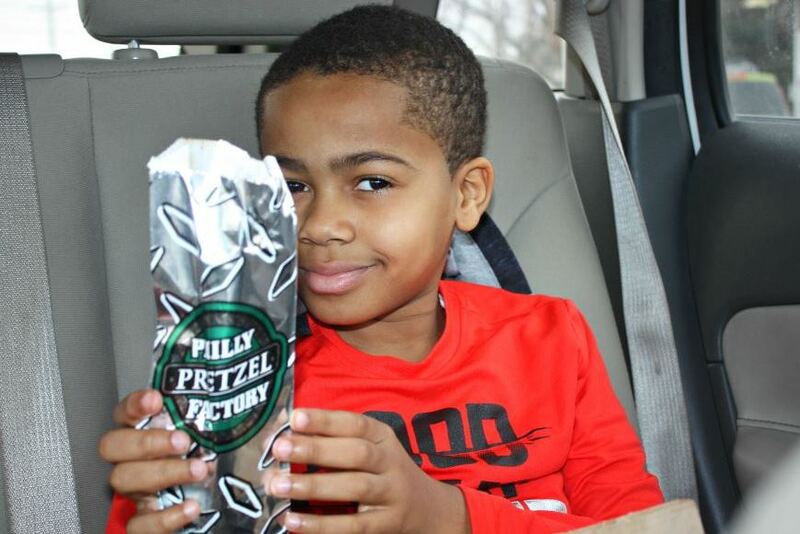 For more information on the Philly Pretzel Factory in Naperville, IL add them on Facebook. 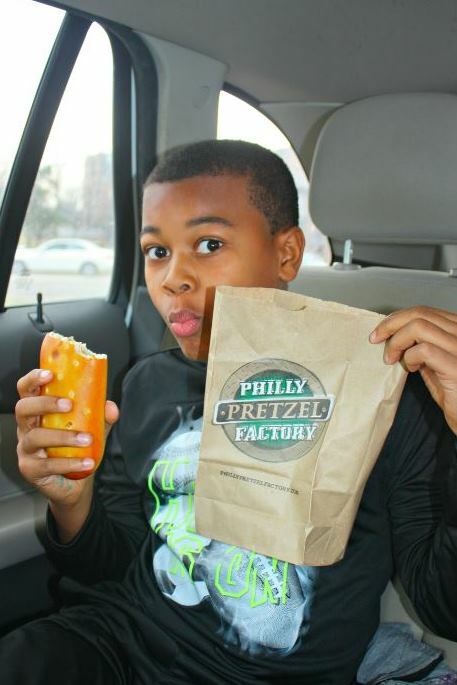 This post is in partnership with the Philly Pretzel Factory and US Family Guides. Gift Card c/o Philly Pretzel Factory.